Take 2 capsules twice daily with or without food, or as recommended by a nutritionally-informed physician. Suggested Adults Use: Take 2 capsules twice daily, with or without food. 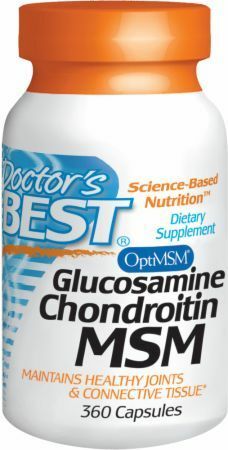 Doctor’s Best Glucosamine Chondroitin MSM featuring 99% Pure OptiMSM and 90% Pure Chondroitin Sulfate.